What are the selection criteria for choosing an electric motor? How to choose between an AC motor and a DC motor? Should you choose a brushless motor or a brushed motor? Why choose a stepper motor? What are the energy efficiency standards for electric motors? An electric motor is an electromechanical device that converts electrical energy into mechanical energy. Most often, the movement is rotary, with mechanical energy characterized by rotational speed and motor torque. This buying guide will only cover this type of motor. Linear motors will be covered in another buying guide. It is estimated that electric motor systems account for 46% of the world’s electricity consumption. In industry, electric motors are everywhere. They run pumps, drive compressors and conveyors and operate fans, blowers, drills and mixers. Electric motors are at the very heart of industry. Electric motors make it possible to perform different types of movement: fast, precise, continuous, with or without gear shifting, etc. All of these applications require their own motor technology. The synchronous motor: DC motor (direct current), brushless, etc. If you want your motor to run continuously and with few gear changes, you should choose an asynchronous motor. 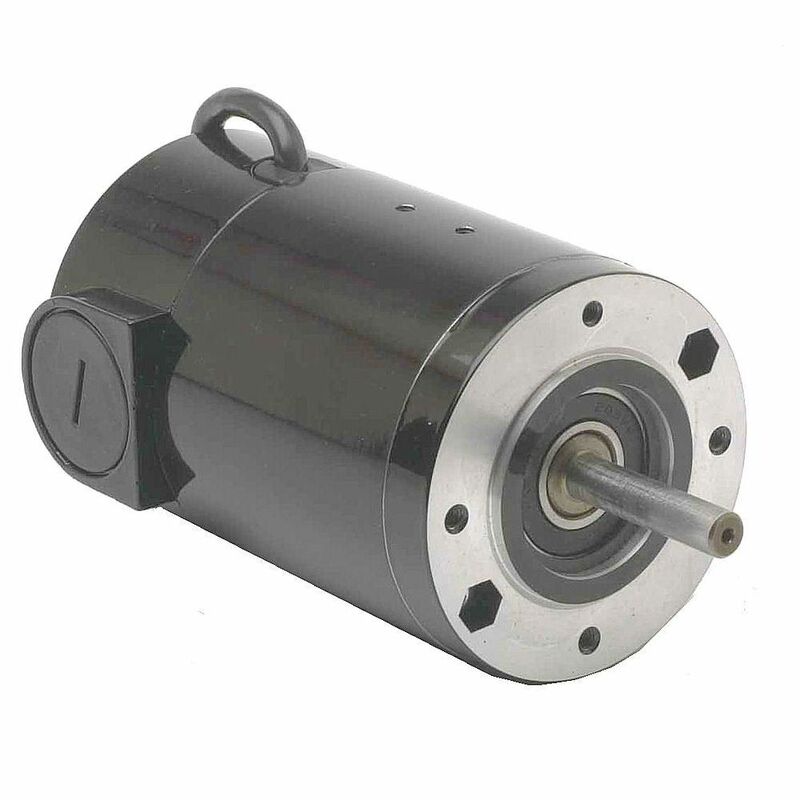 For dynamic applications, it is essential to have a synchronous motor. Lastly, if you require precise positioning you should choose a stepper motor. To determine the technical specifications, it will be necessary to determine the power, torque and speed of the motor. In order to determine the size, you must know how much space the motor will take up and how it is mounted (i.e.how it will be fixed in the system). For harsh environments there are motors with reinforced, waterproof, shock-resistant or dirt-resistant casings. An electric motor that uses less energy will have a low energy impact, which will reduce its energy cost. The most fundamental difference is the power source: alternating current (single-phase or three-phase) and direct current (DC), for batteries for example. Speed is another difference. The speed of an AC motor is controlled by varying the current in the motor while that of a DC motor is controlled by varying the frequency, usually with a frequency converter. As such, AC motors run faster than DC motors. Because of how they operate, which involves synchronization between the rotor rotation and current frequency, the speed of AC motors remains constant. 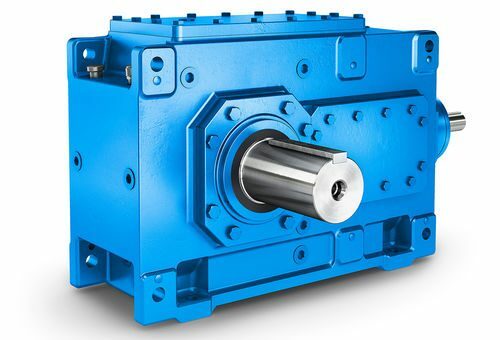 They are particularly suited for applications requiring continuous movement and few gear changes. 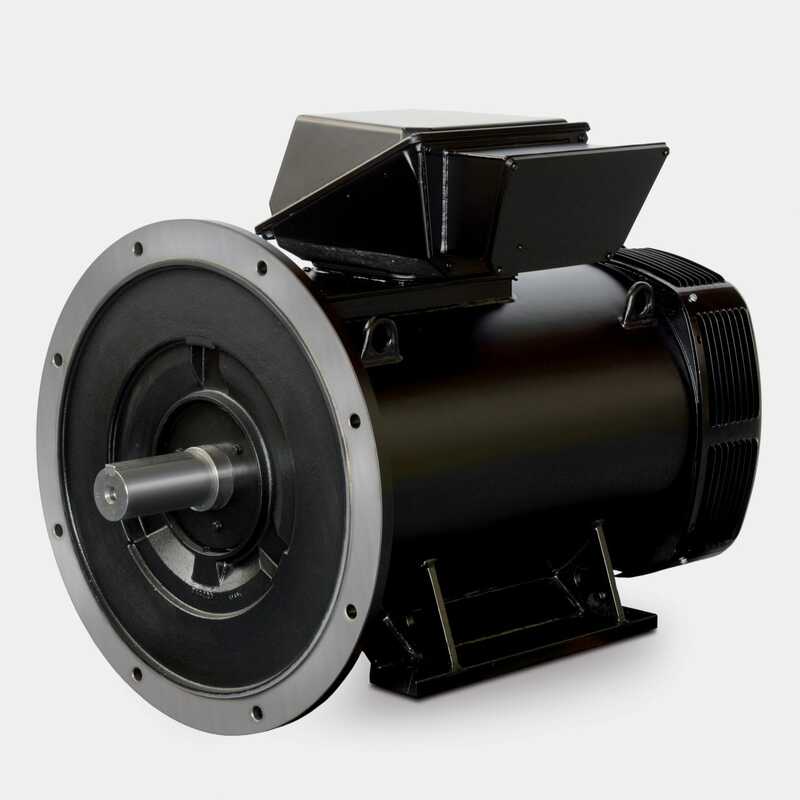 This type of motor is therefore perfectly adapted for use in pumps, conveyors and fans. They can also be integrated into systems that do not require high accuracy if they are used with variable speed. On the other hand, speed control functions make them more expensive than other motors. 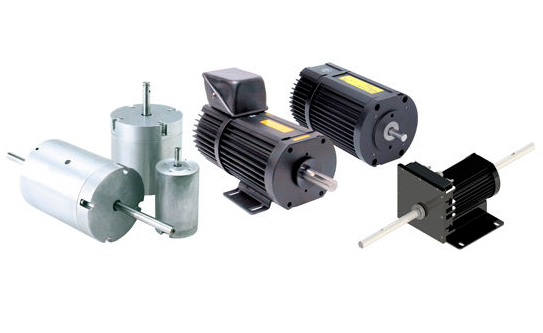 There are two types of AC motors: single-phase and three-phase. They can be used on the domestic electricity grid. They are very well suited for dynamic applications requiring high accuracy particularly in terms of speed, as in the case of elevators, or in terms of position as in the case of robots or machine tools. They can also be advantageous for applications requiring high power (10,000 kW for example). 3. What are the market trends today? Brushed DC motors are used less and less frequently in industrial applications. For lower power, AC motors are used instead as they require little maintenance for equivalent use. Since DC motor parts are too expensive to replace, some manufacturers opt for AC motors in which they integrate an electric controller. >The combination of an AC motor and a frequency inverter has become a cost-effective solution for most applications requiring speed variations. The two most common types of DC motors are brushed motors and brushless motors. Brushed motors are the simplest and most frequently used motors, especially for basic industrial equipment and low-budget applications. There are four types of brushed motors depending on your intended use. In this type of motor, the stator is connected in series with the rotor and the speed is controlled by varying the supply voltage. However, this type of speed control is rather poor: the speed drops as soon as the torque to the engine increases. This type of engine is useful for applications requiring high starting torque such as cars or cranes. In this type of motor, the stator is connected in parallel to the rotor, which allows for a higher torque without reducing the speed as the motor current increases. This type of motor is suitable for applications with constant speeds such as vacuum cleaners or conveyors. This type of motor combines the structure of series-wound motors and shunt-wound motors. As a result, it offers a high starting torque as well as a higher speed variation. This type of motor is perfect for rotary presses, elevators, baggage carousels, centrifugal pumps and compressors. This type of motor contains a permanent magnet that enables low torque. This is useful for applications requiring precise control such as robotics or servo systems. They are less efficient than brushless motors (75-80% compared to 85-90% for brushless motors). The arc of the brushes and collector can generate electromagnetic noise that can create fires. Similarly, the risk of sparks due to friction makes using this type of motor in explosive environments undesirable. The speed is generally limited due to the heating of the brushes. Brushes made of graphite generate dust that can damage other devices, such as optical devices. They need to be lubricated, which makes it impossible to use them in vacuum cleaners. They can operate at higher speeds (up to 100,000 rpm compared to 20,000 rpm for brushed motors). They are more reliable and efficient. 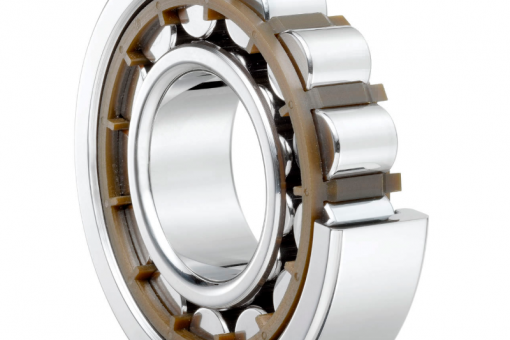 There are no wearing parts except for the bearings, which reduces maintenance operations. The fact that these motors are able operate at very high speeds makes them particularly suitable for grinders, fans or saws. 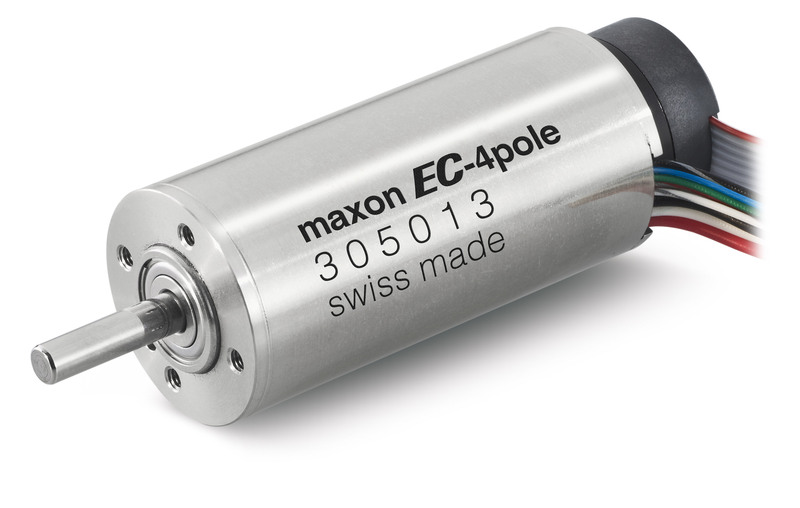 Brushless motors are systematically equipped with an encoder, a sensor that allows for electronic switching and determination of the rotor position. 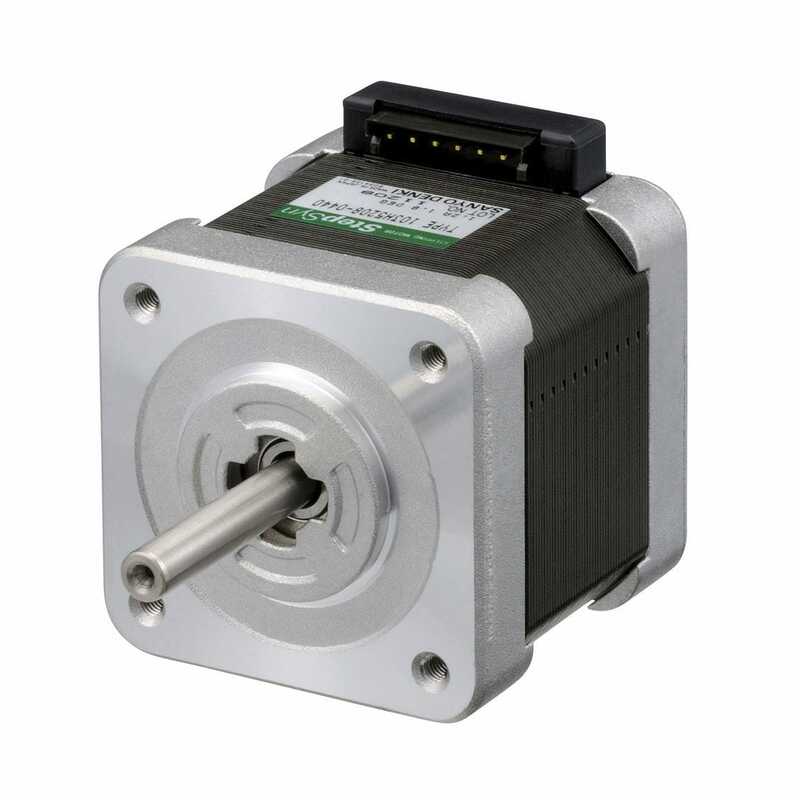 These motors are therefore perfect for servomotor precision applications. The initial cost is high because it is necessary to integrate a dedicated switching device (controller). They also generally require a gear reducer in drive applications. It might seem that in the match between brushed motors and brushless motors, the brushed ones would lose and have no choice but to go back to the closet. This is not the case, however, as brushed motors remain popular in industry and even in space. Maxon, a Swiss manufacturer of electric motors, is constantly developing new technologies for brushed motors and their brushed motors equipped Opportunity, NASA’s rover sent to Mars in 2003. 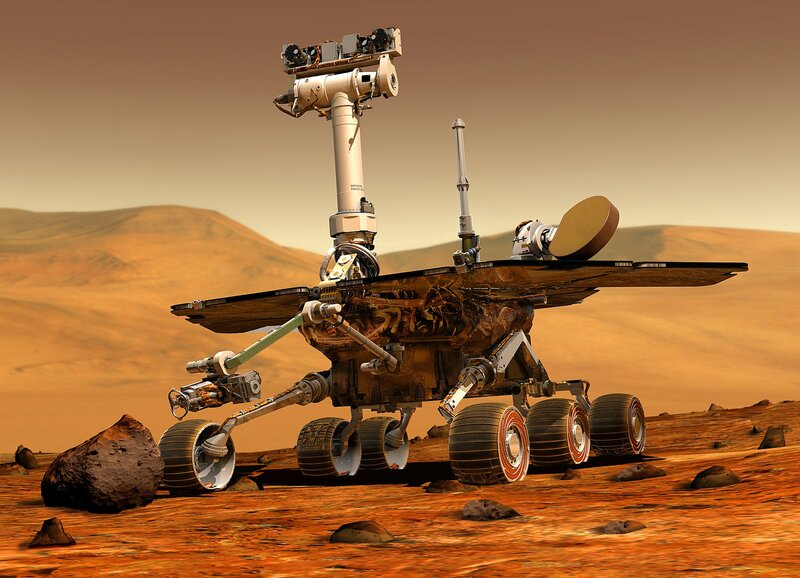 Opportunity took 34 DC brushed motors onbord which have been able to operate successfully under extreme conditions with wide temperature variations. NASA’s choice was simple: to benefit from the simplicity of brushed motor control and therefore have the ability to control all 34 motors from a single controller. Brushless motors would have required one controller per motor with risks of costs and complications. A stepper motor converts an electrical pulse into an angular motion. It is useful for applications requiring open loop position control. The variable reluctance motor: With the same electrical characteristics, this type of motor is less powerful but faster than a permanent magnet motor. average (up to 100 steps/revolution). expensive. It has the advantage of better torque and higher speed. It has a resolution of 100 to 400 steps/revolution. The dimensions of the motor (weight, mounting flanges, etc.). Manufacturers are increasingly contemplating the question of energy efficiency. A greener and more environmentally friendly economy is one of the objectives of the 2015 United Nations Climate Change Conference which many States committed to. But it is above all in order to limit consumption and for savings that industry has been acquiring more energy-efficient equipment in recent years. According to a study by the European Commission, motors account for 65% of industrial energy consumption in Europe. Taking action when it comes to motors is therefore an important step in order to reduce CO2 emissions. The Commission even predicts that it is possible to improve the energy efficiency of European-made motors by 20 to 30% by 2020. The result would be 63 million tonnes less CO2 in the atmosphere and 135 billion kWh saved. 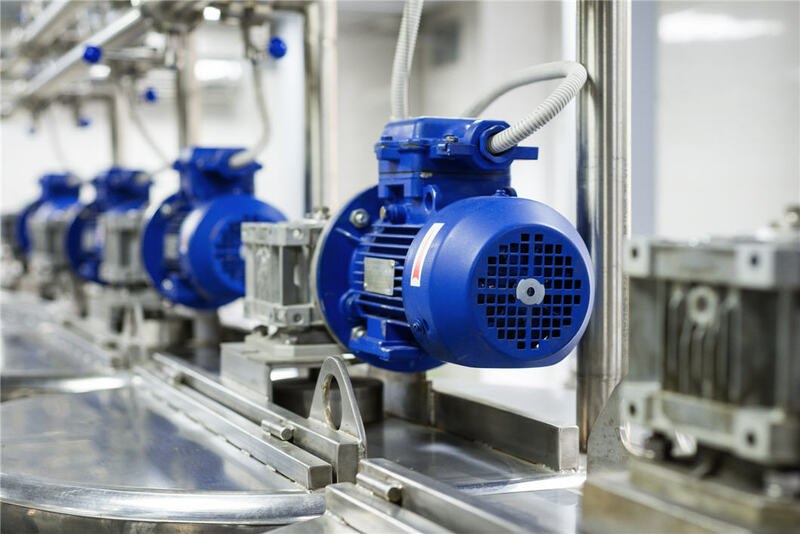 If you also want to integrate energy-efficient motors and get savings while contributing to the planet, you will first need to look at the energy efficiency standards for motors in your country or geographical area. But be careful, these standards do not apply to all motors, only to asynchronous AC electric motors. The IEC has also implemented the IEC 60034-2-1:2014 standard for testing electric motors. 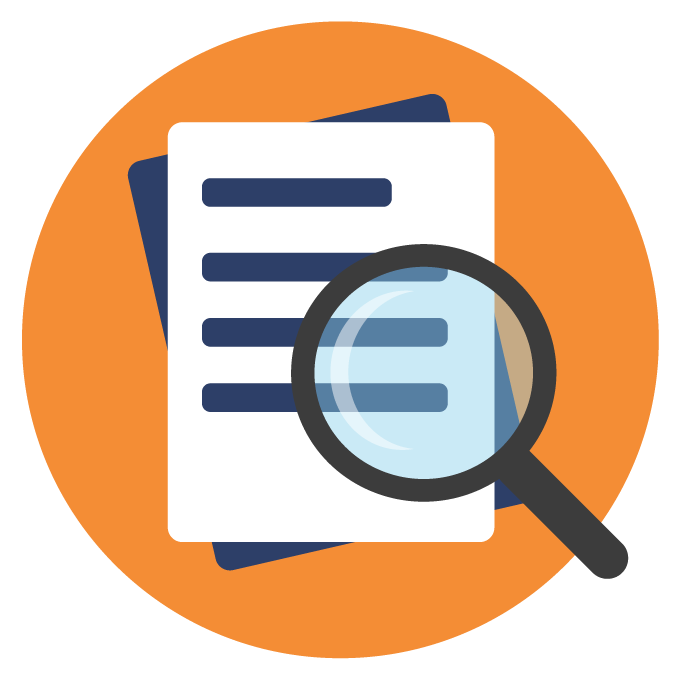 Many countries use national test standards, while also referring to the international IEC 60034-2-1 standard. In the United States, the standards defined by the American association NEMA (National Electrical Manufacturers Association) are in force. Since 2007, the minimum level required has been set at IE2. The same classification applies to Australia and New Zealand. In China, the Korean MEPS (Minimum Energy Performance Standard) standards have been applied to small and medium-sized three-phase asynchronous motors since 2002 (GB 18693). In 2012, MEPS standards were harmonized with IEC standards, moving from IE1 to IE2 and now to IE3. Japan has harmonized its national regulations with IEC efficiency classes and included IE2 and IE3 electric motors in its Top Runner program in 2014. Introduced in 1999, the Top Runner program forces Japanese manufacturers to constantly offer new models on the market that are more energy efficient than previous generations, thus forcing emulation and energy innovation. India has had a comparative efficiency label since 2009 and a national standard at an IE2 level since 2012.